You are invited to the first ever Spartan Bride Challenge at Riverside Farm in Pittsfield, Vermont on October 17-18, 2015! Join us as we team up with Spartan Race to host this exciting event. Brides to be will compete against other Spartan brides to see who can make the fastest run up the mountain and back by way of the Green Mountain Trails. The fastest bride will win a free wedding reception here at Riverside Farm. The contest will be filmed and televised. To enter, click here. The first 15 brides selected will receive free lodging October 17-18. What makes this event unique? 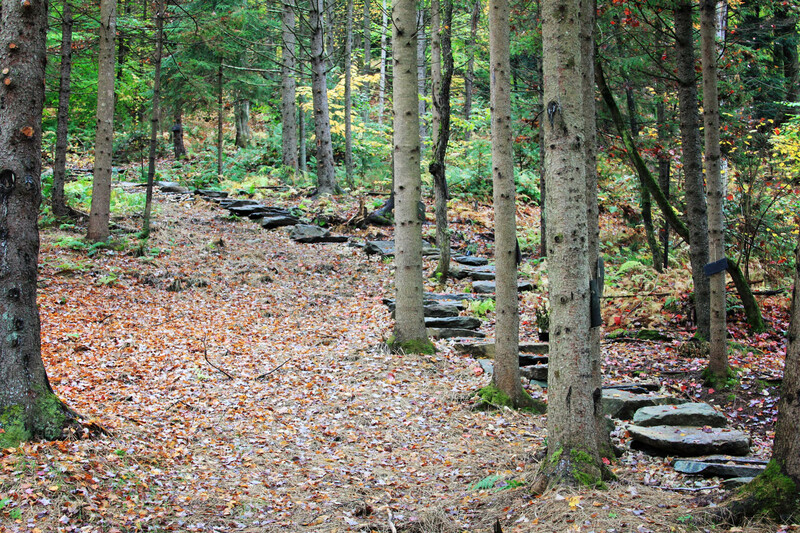 First, it’s a Unique opportunity experience Vermont in the peak of Fall Foliage, running an iconic hand built stone staircase to the top of the world then back down winding single track trails through the woods. Second, if you’re the fastest future bride you’ll win a free wedding reception at a spectacular wedding venue. Third, for Spartan fans see where it all began! This is where Spartan Race founder Joe DeSena was inspired to create the Spartan Race. How often do you get the opportunity to win a destination wedding for doing something that’s good for you, with like minded athletes that have embraced the Spartan lifestyle.